The nineteenth century was a period of intense technological and scientific progress. It was also the time when science fiction blossomed with H.G. Wells,Jules Verne, and many other authors publishing their masterpieces. The aesthetics of Steampunk give the technology of today a twist by mixing them with the steam-powered machinery of the past. This beautiful wall calendar presents 12 Steampunk-inspired works by exciting contemporary fantasy artists, giving life to that fascinating inter-temporal fusion. 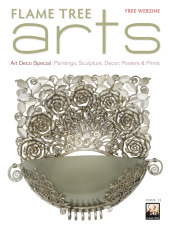 Twelve sumptuous and stunning art deco depictions of fairytale scenes from the Golden Age of illustration. These glorious drawings depict moments from fairy tales such as The Twelve Dancing Princesses and East of the Sun and West of the Moon. 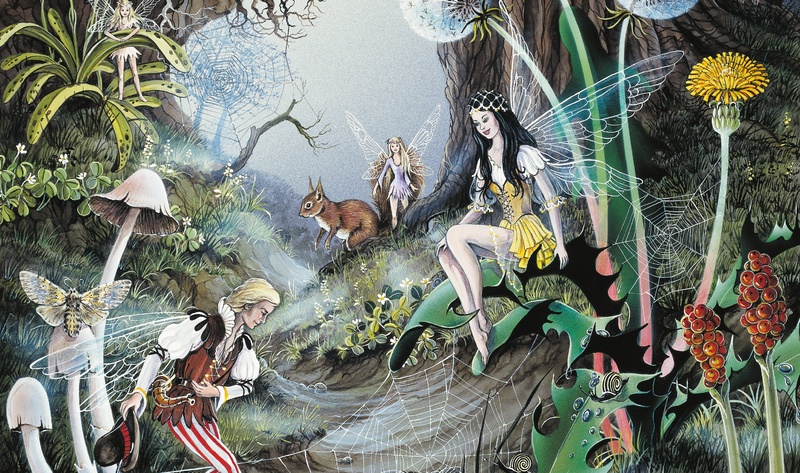 Fairies originated from European folklore and through the ages have become some of the most loveable magical creatures. 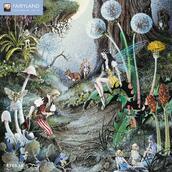 Small and usually friendly, fairies enjoy having fun and lending a helping hand when necessary. 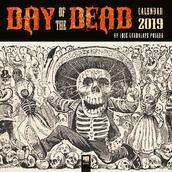 This magical art calendar features 12 illustrations by Jean and Ron Henry. Intricately detailed, the images of animals and fairies living in harmony with nature seem as though they were real. Travel in time and space to the deep forests, green meadows, and secret lakes of Fairyland, and let the fairy happiness infuse your life with joy. As a self-proclaimed ‘Renaissance woman’, Aimee Stewart combines various themes into her elaborately detailed work that blurs the divide between traditional and digital art. 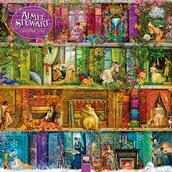 With themes ranging from literature and travel to animals and television, this colourful calendar includes some of Stewart’s most spectacular Bookshelf artworks. 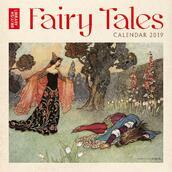 Classic folklore featuring magical creatures and morals, fairy tales feature in cultures from around the world. 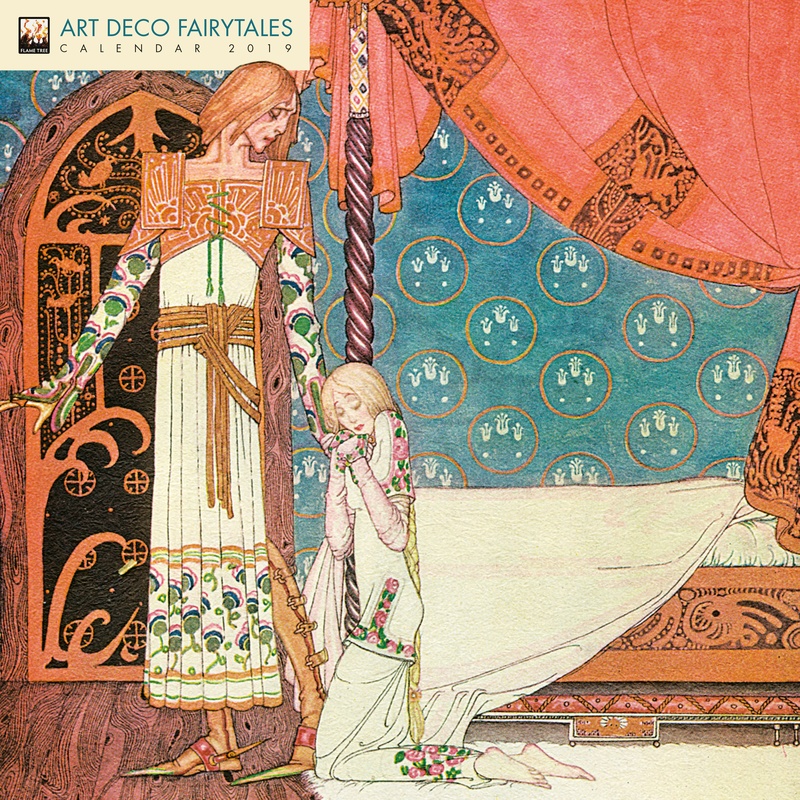 This collection from the British Library showcases beautiful illustrations of some of the most famous fairy tales throughout history. With tales like that of Aladdin and the genie to Snow White and the seven dwarfs, to Rumpelstiltskin from The Fairy Tales of the Brothers Grimm, each work is accompanied by informative text to learn more about the image. One of the first mentions of unicorns was in the largely prominent Natural History written by Pliny the Elder in the first century of our era. For over one and a half thousand years his record of the world was considered a truthful representation of history and science. Having inspired artists and writers all over Europe, it is no surprise these legendary creatures still have numerous enthusiasts. 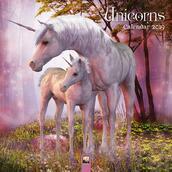 This gorgeous art calendar featuring 12 inspiring artworks of this elsuive creature lets you revel in the mystical world of unicorns, infusing each day with a little bit of magic. Virgil Finlay (1914–71) was an American illustrator of pulp science fiction, horror, and fantasy. 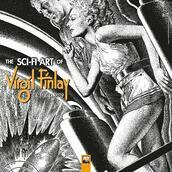 Though he worked in various media, it was Finlay’s pen and ink technical proficiency that contributed to his most spectacular works. Finlay mastered shading techniques with the use of stippling and cross-hatching, also incorporating elements of scratching for a variety of textures. In this striking art calendar, Finlay’s fascinating work brings pulp fiction scenes to life with its intricate detail and commitment to realistic representation. Though it may not be immediately obvious from the name, the Day of the Dead is a highly anticipated, joyful festival in Mexico. Associated with the Christian tradition of All Saints’ Day, Día de Muertos dates back to an Aztec pagan festival dedicated to the goddess of death, Mictecacihuatl. To honour the dead, Mexican communities put offerings of sugar skulls, foods, and marigolds on graves and self-built private altars known as ofrendas. This colourful wall calendar contains 12 photographs and illustrations inspired by the now world-famous festival. Stories of mermaids date back 3,000 years, to ancient Assyrian times. Since then there has been a continuous stream of myths, legends and interpretations of the mystical creatures. Some are kind and helpful while others are dangerous and seek to lure sailors on to the rocks. 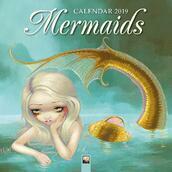 In this beautiful calendar we see many types and temperaments of mermaids each with a clear character of their own. 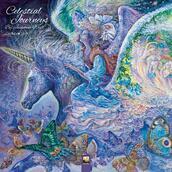 This stunning fantasy art calendar features 12 illustrations by Josephine Wall, an English fantasy artist. As a huge enthusiast of preservation and environmentalism, she draws inspiration from close observation of nature. On the other hand she also reaches to popular fantasy and science fiction for ideas. Her work reflects the influence of Salvador Dalí’s double imagery, the Pre-Raphaelites’ romanticism, and Victorian illustrations. The result of Wall’s variety in inspiration leads to magnificent and highly intricate fusions, kept cohesive with the constant return to her favourite colours such as lilac and golden ochre.